Don't just watch TV, Watch DirecTV®! Give your customers the best in entertainment programming with DirecTV®. Turn your empty bar into a full bar! Enjoy a wide selection of viewing packages including exclusive sports packages like NFL Sunday Ticket and NASCAR Hotpass. ​We will ensure a hassle free installation process that you can trust today and tomorrow. ​​​Experience every out-of-market game in HD. You also get the Game Mix channel, Player Tracker, and real-time scores and stats. 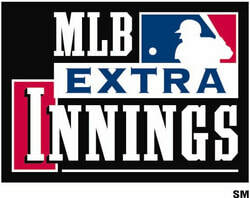 ​With DirecTV® and MLB EXTRA INNINGS, enjoy up to 80 out-of-market games a week, including up to 40 in crystal-clear HD. ​With NBA LEAGUE PASS, enjoy up to 40 out-of-market games a week, including 20 games a week in HD. ​No matter where your business is, watch ESPN College Extra on DirecTV®. ​With NHL® CENTER ICE®, enjoy up to 40 out-of-market games a week, most of them available in HD. ​Music Choice is your source for all of your favorite music. Delivering crystal-clear sound with no interruptions.